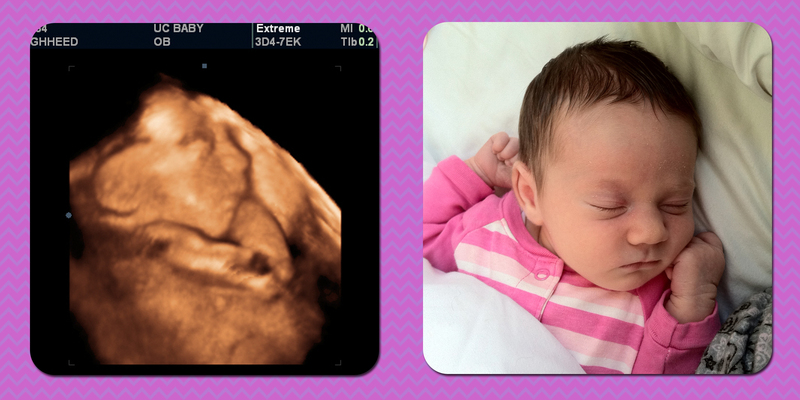 When I was pregnant with Lauren I went to UC Baby in Pointe-Claire Montreal to have a 3D ultrasound done. It was a really really cool experience for us. At the time we had bought a package for two separate appointments, one at 27 weeks and another at 32 weeks. In our case the earlier appointment was a little more fun because Lauren was being shy on the second round and spent a good portion of the appointment itching her nose and covering her face. Funny enough she carried on this habit well after she was born! The ultrasound appointment was done in comfortable and darkened room with classical music in the background. There was a flat screen TV in front of us where we could watch everything and even more special our appointment was broadcast streaming over the internet so that our family could also get an early glimpse of Lauren. For the first few moments I couldn’t see Lauren clearly, I felt a little let down…But then the technician was able to capture so many beautiful and clear shots of Lauren. Her hands were so clear, I watched her itch her nose, I watched her kick, I watched her. At the time I was asked if I wanted to purchase a special bear with Lauren’s heart beat inside. I had passed on it, thinking that I didn’t need the added expense. As time passed, I found myself really wishing that I had taken one of those special bears home with me. Fast forward to Christmas of this year – I had been preparing for Lauren’s upcoming Birthday fundraiser and looking for raffle prizes when Doreen Haddad (who is amazing by the way!) of UC Baby contacted me to offer us an Ultrasound package including a DVD recording to raffle off. I was really excited because it’s such an amazing prize to any expectant family! 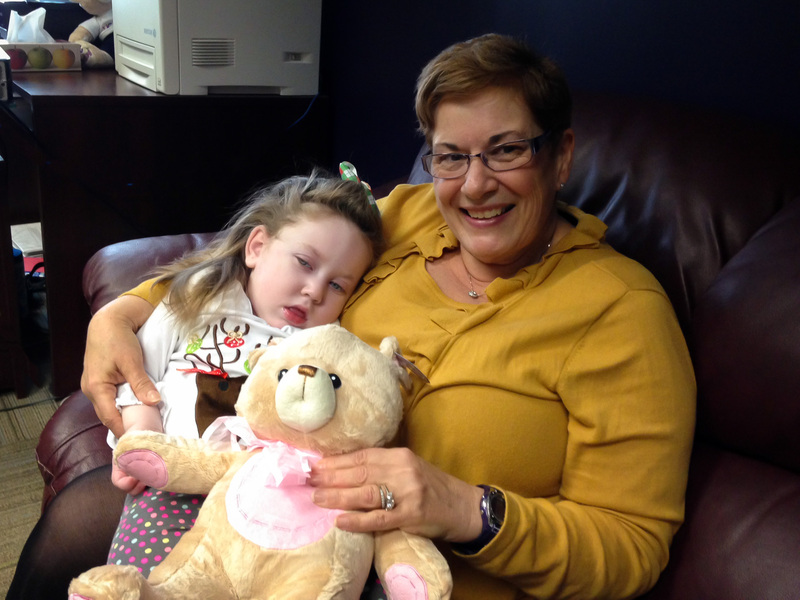 In talking with her I asked about the heart beat bear and whether it was still possible to get one. She immediately asked me what colour bear I would like and we planned a time to meet. What I thought at the time was that she would be able to look in my file or something to get the heart beat (mind you it had been over 3 years since I was last there! ), what actually happened was way cooler. When we arrived a very nice Ultrasound technician, actually the same technician I had seen three years earlier handed me a form to fill out and directed us towards to Ultrasound room. I was so confused, and told her that I already had the baby and wasn’t there for an Ultrasound. Then Doreen came by and explained that we were going to take an ultrasound of Lauren’s heart and capture her heart beat that way. WAY COOL! 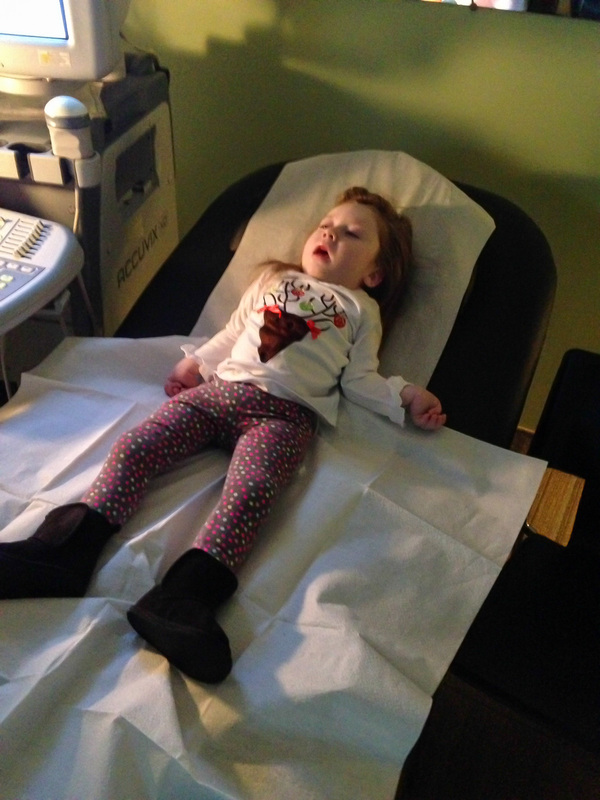 Lauren is getting ready for her ultrasound! So we lay Lauren down right where mommy had waited anxiously to see her years ago and took the recording of her heart. Lauren was in a great mood and probably found the experience really fun too! Somehow Doreen managed to make something special so much more than that. Doreen gifted us an amazing bear and a memory that will always warm my heart. You can also check out UC Baby here for more information – www.ucbaby.ca or call 514-694-8085 to book your appointment. If you mention Lauren’s name you can also score a $10 discount off a complete 3D package with a DVD or USB key! Hoping to see you this Sunday at the Carnival! Hoping that you and your family will be able to join us this Sunday January 26th 2014 for Lauren’s fundraiser! 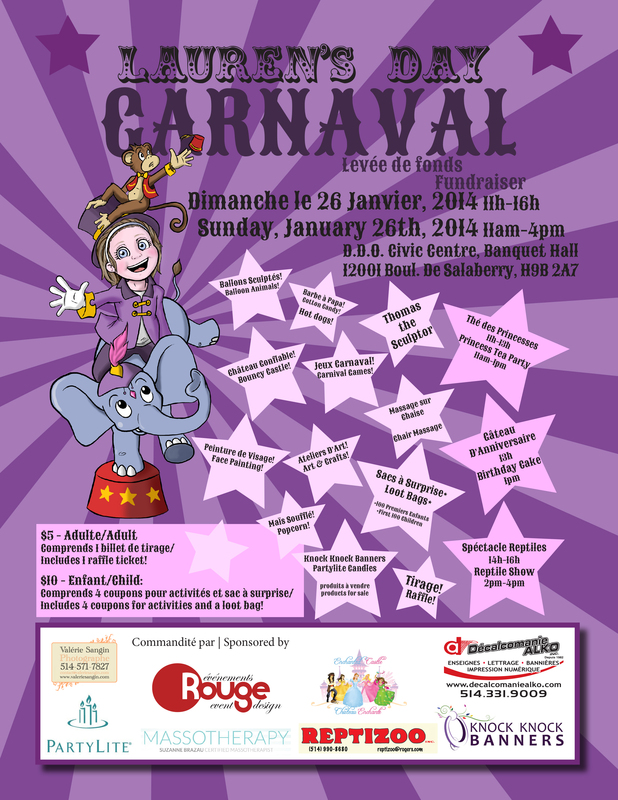 The event will take place from 11:00am-4pm at the Dollard-Des-Ormeaux Civic Centre Banquet Hall. There are a ton of fun raffle prizes up for grabs and really fun activities for the kids to participate in. 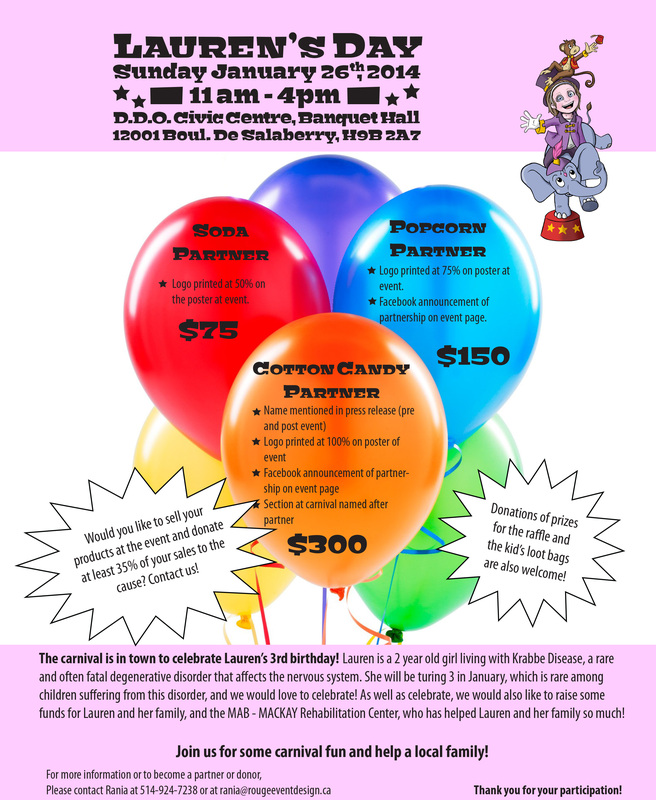 Lauren’s 3rd Birthday Party – Save the date – Sunday Jan 26th! I wanted to invite you to an event that we are having for our daughter’s third birthday! 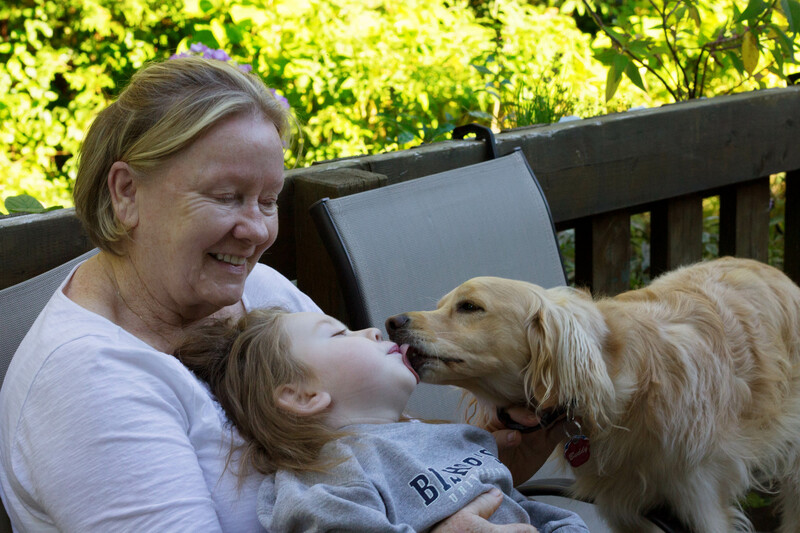 As you already know, our daughter Lauren has a terminal disease known as Krabbe disease. 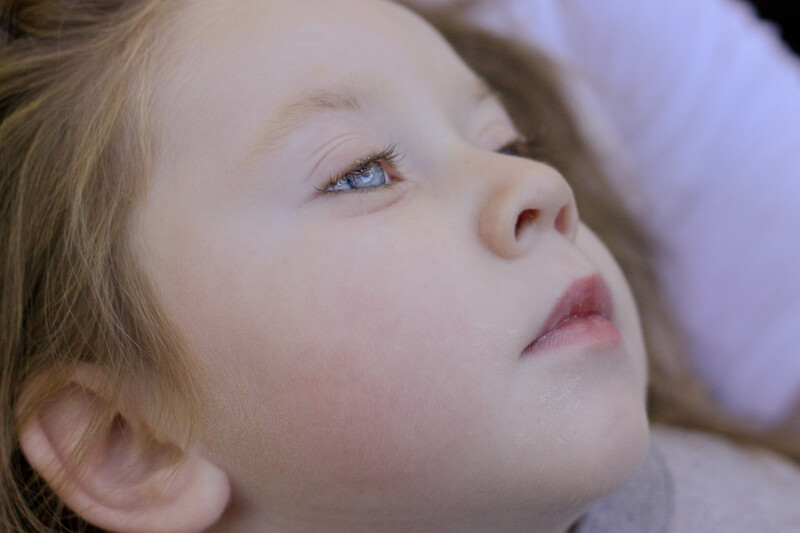 The average age that children who have this disease reach is about 13 months, Lauren is turning 3! To celebrate this amazing milestone there will be a fundraiser/birthday party happening on Sunday January 26th with proceeds going to the MAB Mackay Foundation and our family. There will be tons of fun family events, bouncy castles, face painting, princess tea party, a reptile show and lots more. Please consider joining us for this fun event. At this time we are also seeking event sponsors (details in the photo I posted), raffle prizes and Loot bag item donations. If you or anyone you know may be interested in helping please let me know. Thank you for your continued support and kind thoughts over the past few years, it means so much to our family. For the past few months, Stephen and I had been training for our first Full and Half marathons (respectively). We started out feeling extremely motivated but then as the summer’s end neared and the days became heavy and humid, we both found ourselves struggling to run. By the time that the weather cooled we were forcing ourselves to train. 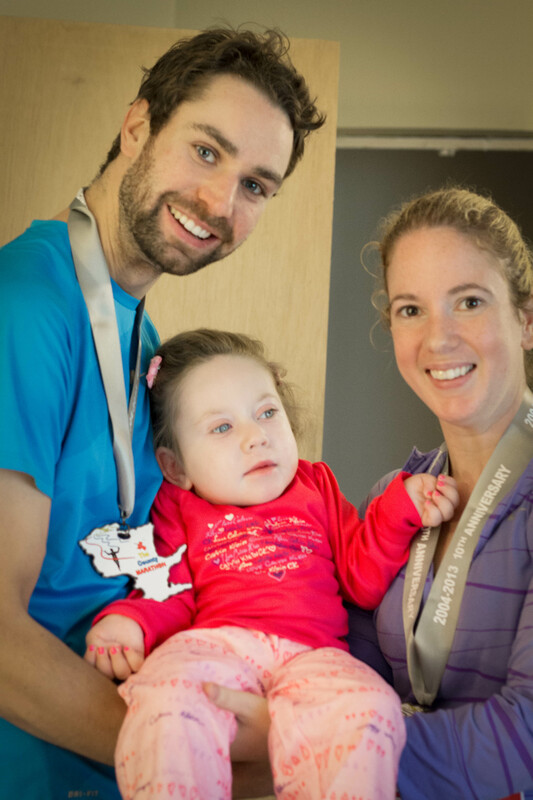 What kept us training was that we weren’t running for ourselves – we were running in honour of Lauren and the CLSC Lac-Saint-Louis & Pierrefonds foundation. We ran on October 6th 2013 in the Picton County Marathon. 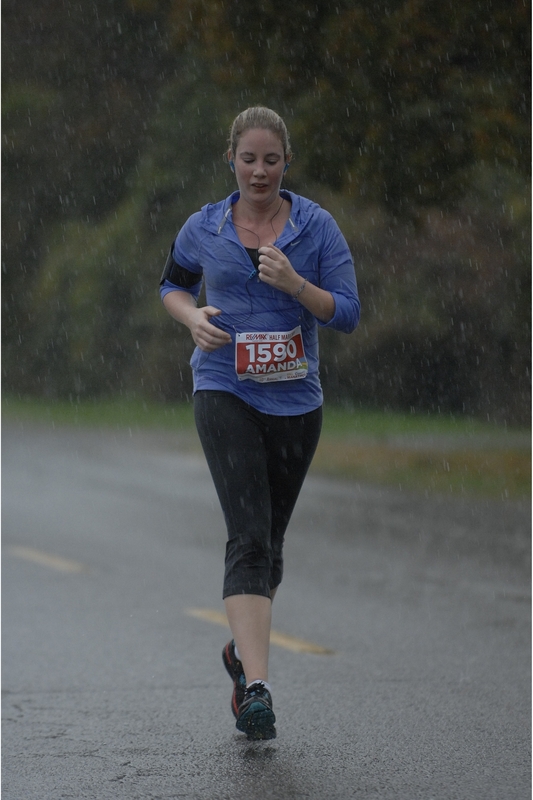 Stephen and I woke that morning to a dark sky and rain – perfect conditions for a Marathon 🙂 I snuggled in bed for an extra hour with our Lauren while Stephen headed to the marathon starting line. By the time his sister Marlena and I were headed to the race with our friends Jonathan and Kelly, Stephen had just begun his run. The course had us running through an amazingly beautiful area, we ran past a beach area, woods, cute towns. It was so lovely and scenic that even in a downpour it could be appreciated. The first few kilometres passed well, I jogged a slow and steady pace out of fear that I would burn out early. Just before reaching my seventh kilometre I noticed a friendly face next to me. Stephen had caught up to me, I was so excited! We held hands for a moment, then I wished him luck for his finish. I watched him run ahead for a few seconds, at which point I decided to pick up my pace so that I could catch up to him and give him a kiss for good luck. The next five km were easy as Stephen was still in view ahead of me, it felt motivating to see him. By the twelfth kilometre he was too far ahead to see. The rest of the race went by pretty well. At my seventeenth km I tried to take a break and walk for a few minutes – this was a brutal mistake. The second I slowed down my muscles started to scream, muscles I didn’t even know I had pulled and tightened. So after about twenty seconds I realized that I would have to continue to jog it out or I wouldn’t be able to finish. In the end, Stephen and I both finished our races with huge smiles. 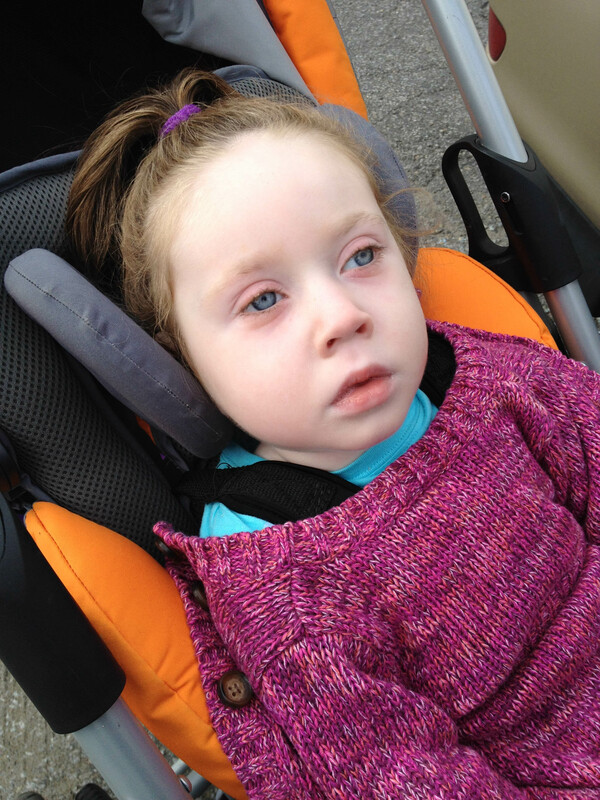 We couldn’t wait to get home and see our real champion of the day – Lauren! It was a wonderful experience, and we were so moved by all of the support that we received. We broke our goal of raising $2,500 and came in over $3,200 for the amazing CLSC Lac St Louis and Pierrefonds foundation, with funds going to palliative care. This money will go to help our family as well as others struggling with terrible circumstances in our area. We have been so appreciative and thankful for their help and are excited to be able to raise money for them. We will be submitting a list of donors to the CLSC this month, and thank you again for your encouragement and support! Holding the real champion of the day! Lauren was so happy that Daddy and Mommy did such a great job in finishing the race.